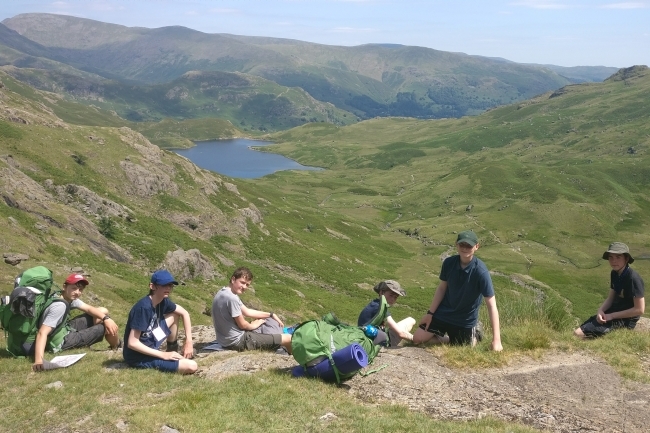 Whilst most reach for a deck chair when the temperatures soar to 30 degrees, our intrepid Year 10 Silver DofE Groups loaded up their bags, put on their boots and jumped in the minibus heading to the Lakes for 3 days of navigation, camp craft and fitness training. The groups all began the journey in Grasmere. Bypassing the gingerbread store, they made their way up the steep path to Easedale Tarn where they planned to have lunch. 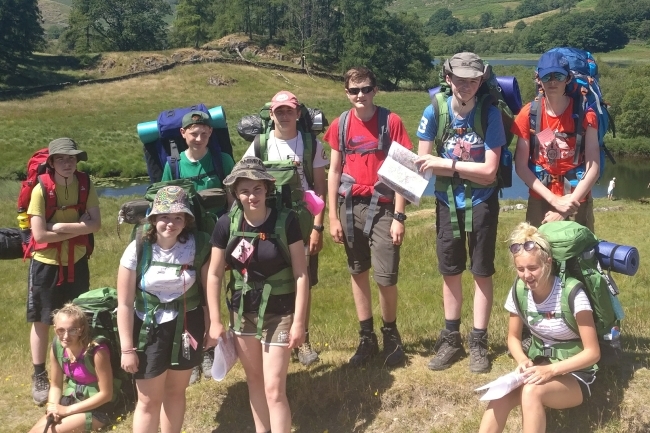 Despite not having been on an expedition since their Bronze 9 months ago, the teams soon got into the swing of things and their map reading was spot on. 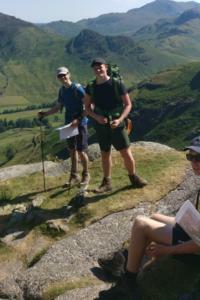 They even moved on to doing some micro navigation which is a challenging skill. On the way up to the Tarn the teams made the most of every bit of shade as above the tree line they were exposed to high temperatures which, combined with steep terrain, made the journey very tough – not that you would know as the teams worked together to motivate the ones that found it more challenging and kept their spirits high throughout. Once at the top, the teams were greeted by breath-taking views but the way down was almost as tricky as the way up with a steep descent into the Langdales. Once back at camp the teams put up their tents, made their tea and then watched the sun set down the Valley. With another hot day ahead, the teams decided that an early start was the best way to avoid the heat. 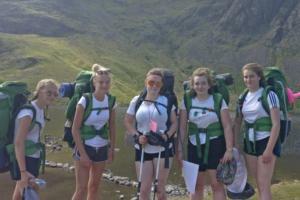 Once again the teams worked together to pack up camp and depart for the day’s adventure. For many this was their favourite route with several commenting that if you took a picture and sent it to a friend you would not believe it was the UK. 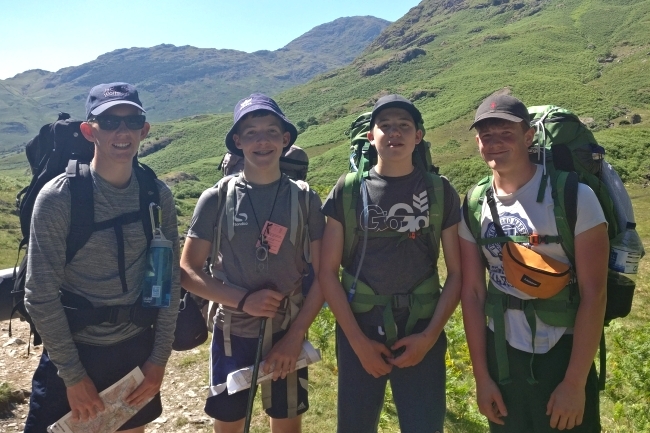 Again, the map reading was spot on and so the teams were able to get back to camp early and spend the late afternoon playing sport in the camp with other DofE teams. We awoke on the third day to more spectacular weather and cloud free skies. 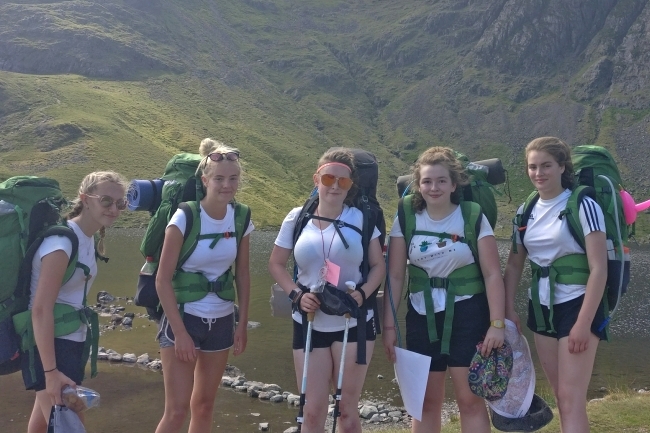 The teams had the end in sight and completed the final day with a spring in their step, taking care with their map reading so that they did not have to walk further than they needed. After 3 days of walking it was a relief to reach Coniston so that they could give their sore feet and tired shoulders a rest. 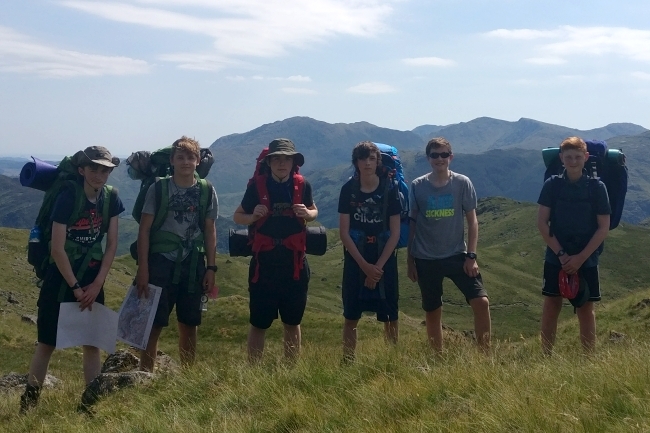 It was a privilege for all the staff members to support such motivated and resilient young men and women in their practice expedition and if this weekend was anything to go by, their assessment in Anglesey in 2 weeks’ time promises to be fantastic.